Android has grown to own 80% of the market share of smartphone operating systems over the last decade. And yes, if you’re wondering, iOS lies in this other 20%, along with other operating systems. Android’s open source, meaning the source code is out there, and people can contribute to the development process. It’s free, easy to use and the community is just HUGE which brings forth a ton of applications and improvements to the Android experience. With the competition on fire between all the big names in smartphone OS, Android’s share is not shrinking. It is, at the very least, growing even larger at a massive scale. Is it a bubble that is soon to burst, or does Android has even brighter days in the future? 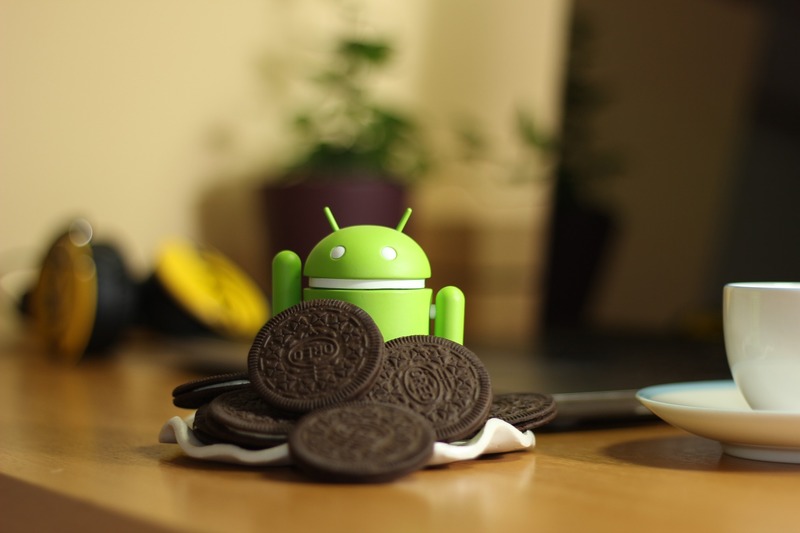 Android development will most likely be dependent on what it has to offer. So we need to relate the future of Android development to the future of Android itself. So, what does the future of Android hold? When you talk about the competition level of Google and Apple, you’re not talking about how to keep your market share. Both companies are eventually looking for total control over the market. Think of how SMS was knocked out by online messaging. That’s what both companies want for their technologies, to dominate. Seemingly, you can’t dominate a market by introducing better performing applications or faster OS. You need to keep a constant control of the people’s current demands and future demands. That’s why new features are always surging up to Android and IOS systems. Here are two examples of potential features for Android that could affect the development. Apple pay has been very successful ever since its release, so why not add the feature to Android? Remember that these companies always are at a high level of competition. Which means that imitation is never off the table. Also, remember that the goal of smartphones is to replace all your everyday life gadget. Like the watch, the computer, the calendar, the planner, etc., you get the idea. However, the integration for Android might prove a little sophisticated. Android does, in fact, have a weaker standing when it comes to security. But Google knows that the real fight lies in PC operating systems, and when they aim for “every device”, they mean it. Google is currently working on a project called project Andromeda, for a new OS for laptops and PCs. This new OS is based on Android and Chrome OS. It aims to reach multiple devices and function regardless of the processor architecture, which is critical for the multi-platform integration. Andromeda will, if anything expand Android’s reach and elevate its authority. What does it mean for development? Android development will have to keep up with these changes and aspirations. As Android advances, developers will have to follow certain paths in order not to fall back in the line. First of all, agile development is key here. The increased usage and demand will necessitate the agility in program deployment. Programs that run on the same patches for months might even turn obsolete. Development cycles will most likely be shorter than they are now, and businesses will take more into consideration the customers’ feedback. There’s also the need for simple but extremely engaging applications for the audience. Users, in general, hate to spend hours trying to figure out how an application works. Remember that we’re not just talking about mobile applications anymore. These will be applications for TVs, laptops, possibly even refrigerators, and microwaves. It opens the door for a lot of possibilities to be explored but offers a lot of challenges in exchange. It makes you wonder ” what sort of application could be developed for a microwave?” but yet again, we always wonder until it’s already made. Highly secure applications will present a challenge, especially with applications like digital wallets. The public always express their concern regarding the issue of privacy and security. And when you have applications with such a high level of reach and features, security becomes a matter that no one can concede over any other feature. That’s why Android development in the near future will target the matter of security in its every step. Finally, The appearance of new languages like Kotlin will impact the Android scene. For example, Kotlin came out to answer Java’s weakness in certain areas like “nullable objects” which causes a lot of crashing and confusion. Not only that, but it also simplifies the development while maintaining the power of its predecessor. This will give developers time to orient themselves towards GUI’s and application’s simplicity. The other scenario out there is that Android would become obsolete by getting replaced. This would mean that the Android development force will vanish and redirected towards the new OS. It’s true that Android is facing is facing some serious challenges. First of all, despite the Google’s scheduled patches, it takes almost 4 years for a release to actually penetrate the Android ecosystem. In its first year, a new release only achieves approximately a 10% margin. 4 years is plenty of time in the tech world, and with such a competition at hand, it could mean future death. That’s not Google’s only problem, however. There’s the fragmentation problem, which results from developers having to adapt their Android applications to the hundreds of devices expected to use the software. For sure, Google’s not having an easy time ruling the market. Yet these threats could potentially deliver some development changes. Android Development will change in the future depending on how the market changes. It’s impossible to tell where will it be headed. For now, Android development will be targeting bigger scopes and broadening its horizons. The advances in the developer tools out there, like the Android studio with its emulators, will make things better, that’s for sure. We will most likely witness a pleasing change in Android application’s behavior very soon. But how far will Android go? That will be the question that only future can answer.